Your Wedding day is so very special. Every couple has their First Dance as a married couple, so why not make your Wedding Day – First Dance as special as the rest of your day. 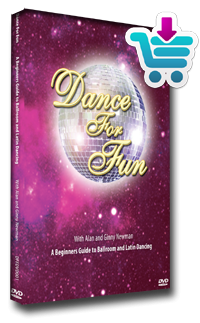 Dance For Fun Rochdale and Bury have a wealth of Wedding Dance experience in the whole of the Greater Manchester Area. Wedding Dances have shown a massive increase in popularity over the last few years with more and more couple learning to dance to their special song. You can have your own carefully choreographed routine that suits you and your chosen music. Even if you haven’t dance a step before, with our help you will soon be dancing and the impact of performing to your guests on your Wedding Day will not only impress and entertain but it will be a lasting memory for everyone. As experienced choreographers our teaching methods will soon put you at ease and will help you to enjoy learning to dance and prepare you for your Big Day. Your dance can be quite simple with a few highlights to show off your skills, or if you are feeling a bit more ambitious you can be dancing along with expertise to your favourite song. You will be taught in a relaxed way with no pressure to steps or moves that you are not comfortable with. You can also have input of your own, especially if you have seen something that will go well with your music and your personalities. The number of lessons you have will depend on; your chosen dance, your previous dance experience, how much time you have to practice and how polished you want it to be. On average, 3 one hour lessons will produce a great dance. For more information or to get started on preparing for YOUR DAY.